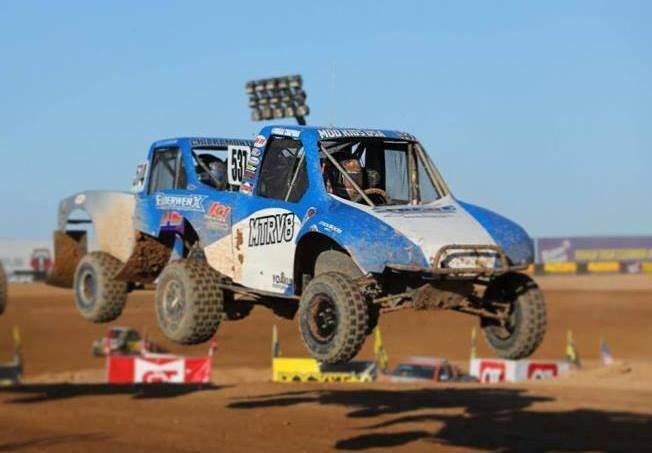 4/24/18 El Cajon, CA – Red Bull’s Mia Chapman kicked off her final season of Modified Kart racing at the Lucas Oil Off Road Racing Series season opener at Wild Horse Pass Motorsports Park in Chandler, AZ. Chapman is racing in the modified kart class for drivers aged 10-16. The modified kart’s run the same full course as the pro classes do, It includes a unique mixture of high- and low-speed sections, as well as one of the series’ best opportunities for passing under braking in turn one. Chapman led most of qualifying before falling back on the final lap. After starting sixth, she muscled her way in the top three. On the lap-four mandated restart, she got clipped from behind and flipped on the exit of turn one. The car would not re-fire so the safety crew pushed her to the hot pits where her team could look over the car. Once they got the car fixed she came out of the pits two laps down, she finished the race and saved precious championship points. Chapman is in her third year in the class, known as one of the most physical classes on the tour due to the competitiveness of its driver pool. Chapman had what was likely the fastest car on the track. This is her final year in Modified Kart, so she is laser focused on the championship. Chapman relied on her crew chief Jimmy Owens to dial in her X-15 mod kart, it handled great and was fast. “The ITP Tires worked really well and we’ve never had a problem with them,” said Chapman. Chapman will be back in action when the Modified Kart class returns to action June 23-24 at Lucas Oil Speedway in Wheatland, MO.